Ocean Flight is an allegorical re-imagining of Charles Lindbergh’s revolutionary solo trans- Atlantic flight. His story is re-told as a cyborg meeting of man and media. 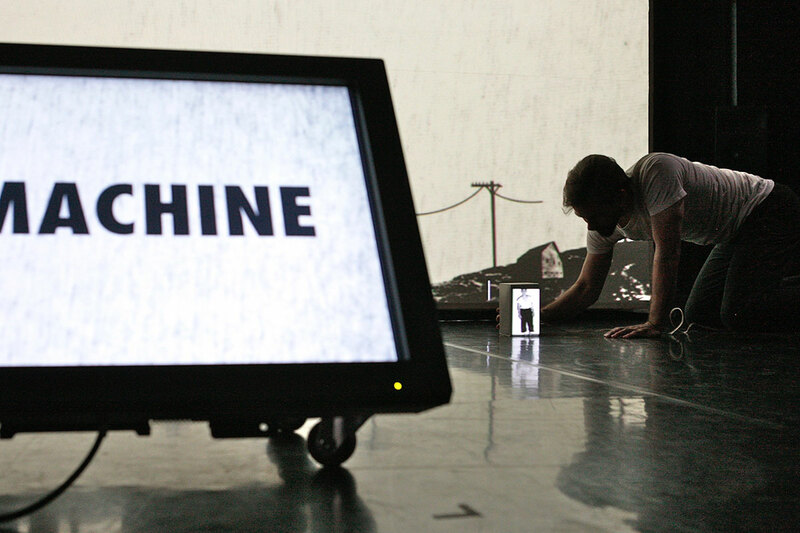 Referencing the visuality of Hollywood “green-screen” illusion, the live-feed image of Lindbergh is captured via interactive video software and “composited” into real-space via hand-held projection screens. However, the visuality of the computer graphical user interface (windows, icons, direct manipulation) is also alluded to. 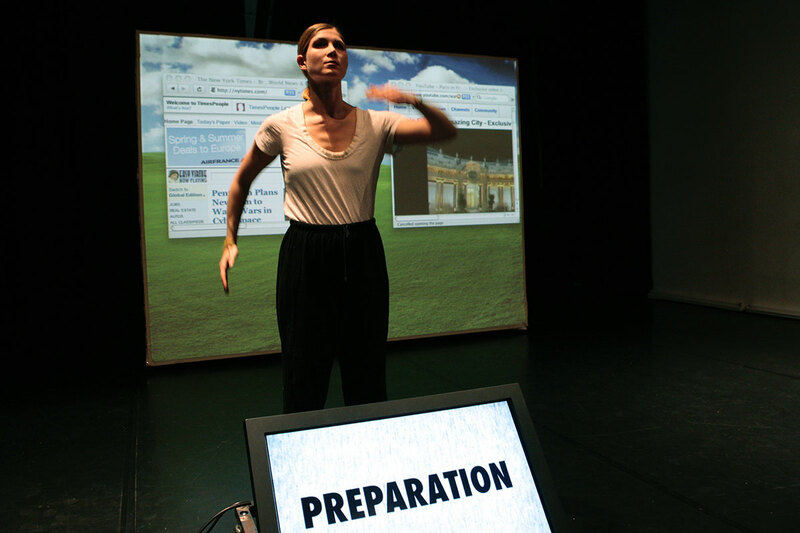 The theatricality of integrating human behavior and digital information is critically addressed by showing all stages of the media transformation: camera, performer, and virtual stage. 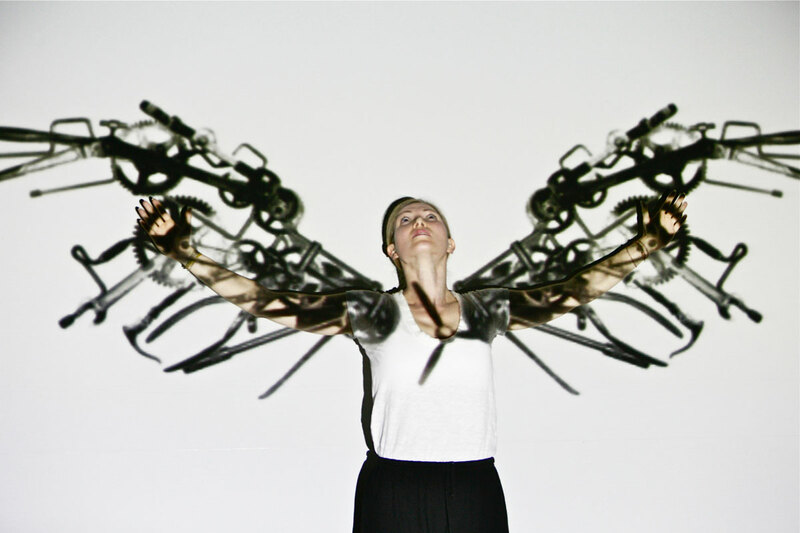 The resulting experience is one where the audience sees both mechanism and illusion, climaxing at Lindbergh’s fleeting metamorphosis into a winged creature. Direction and video design by Chi-wang Yang. Featuring performance by Mira Kingsley, Darius Manino, & Brian Reid. Animation by Miwa Matreyek. Sound design by Yuen Cheuk Wa. Lighting design by Jeanette Yew.